The state of Kentucky offers countless views of its natural beauty, and they include everything from waterfalls to mountains to cityscapes. Some of these views are tucked away on a long hiking trail or in a hidden spot that’s not exactly easy to track down. 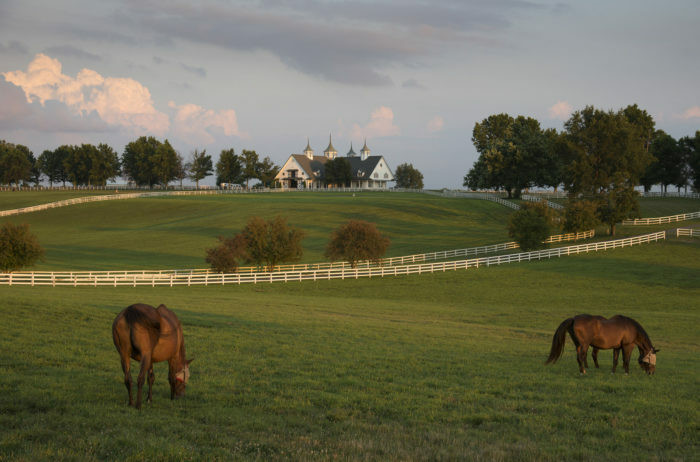 Many locals and visitors to the Bluegrass State are not able to experience these views due to their locations, but that doesn’t mean you can’t experience our state’s incredible landscape. 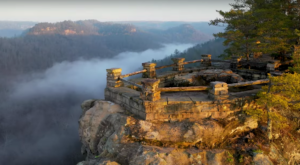 These seven spectacular scenic overlooks in Kentucky are just a few steps from your car, which means anyone who wants to witness the beauty can do so. 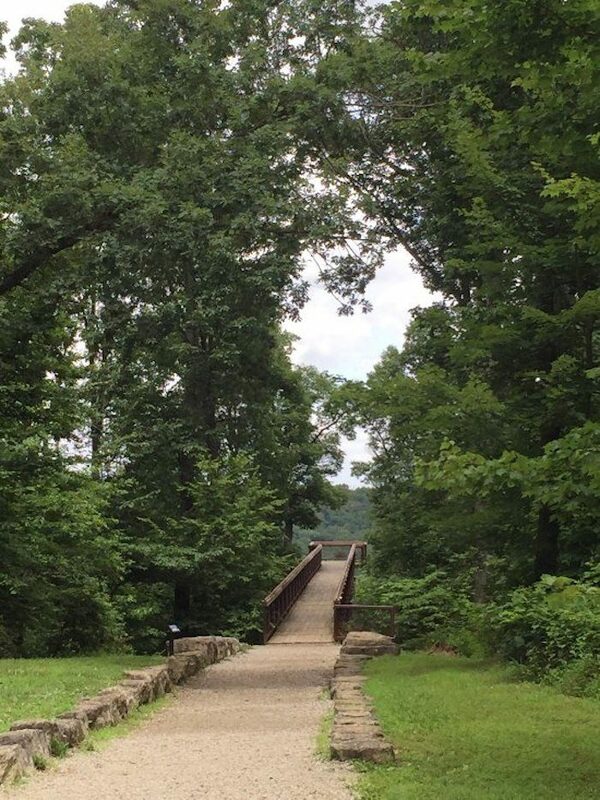 Located south of Louisville, Bernheim Arboretum and Research Forest is a wonderful place to experience nature all year long. 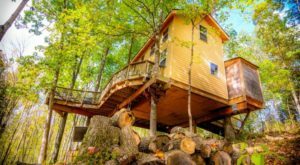 The property includes miles of hiking trails and plenty of activities, but you can enjoy one of its most popular features with just a few steps. The Canopy Tree Walk is not far from a trailhead, so you can park and then walk to this overlook that hovers 75 feet above the forest floor. Bernheim Arboretum and Research Forest is located at 2075 Clermont Rd., Clermont, KY 40110 and is open seven days a week from 7 a.m. to 6 p.m. Learn more about this memorable overlook in our previous article here. 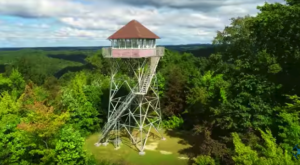 Letcher County in Eastern Kentucky is bursting with natural beauty and mountain views, and there are now five easy-to-access spots where you can safely witness them. These overlooks were recently added and have parking areas, so you can step right up and take in the enchanting views. Find out more about these incredible overlooks in our previous article here. 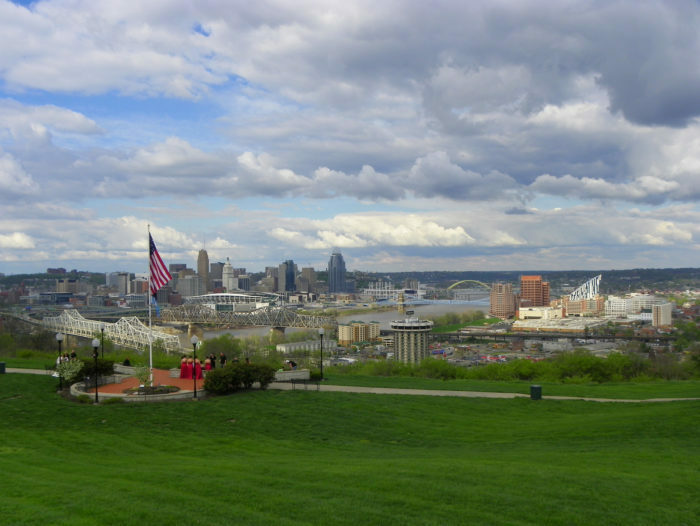 Devou Park is a hilltop destination in Covington that overlooks the Ohio River Valley and downtown Cincinnati. The views are breathtaking and it's incredibly easy to get to them. Follow signs to Drees Pavilion, park in the lot, and stroll the short pathway to the scene above, where you can sit on a bench or picnic table and take in these sweeping views. Devou Park is located at 1201 Park Dr., Covington, KY 41011. Learn all about this cool Covington park in our previous article here. 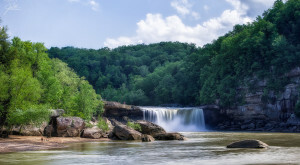 It's pretty remarkable that Kentucky's largest waterfall, Cumberland Falls, is easily accessible for everyone to enjoy. It's a quick and easy walk to the overlook that gets you surprisingly close to the action. If you're feeling up for a bit of a challenge, be sure to check out the other trails within the park, as well. Cumberland Falls State Resort Park is located at 7351 Hwy. 90, Corbin, KY 40701. 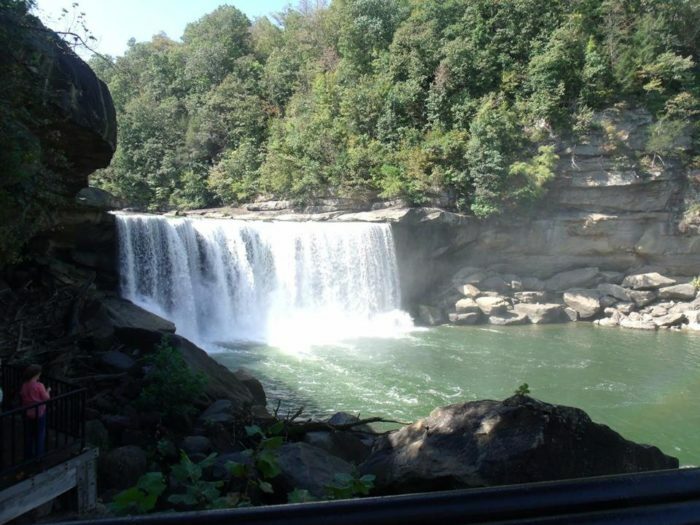 See more of Cumberland Falls in our previous article here. 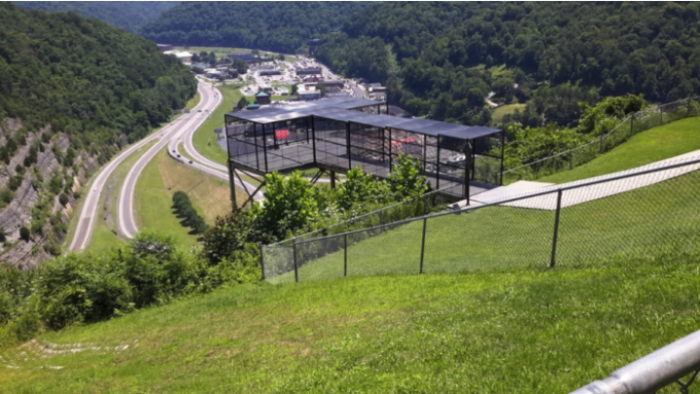 This particular overlook in the town of Pikeville not only has wonderful valley views, but also shows off one of the biggest engineering feats ever completed in our country. 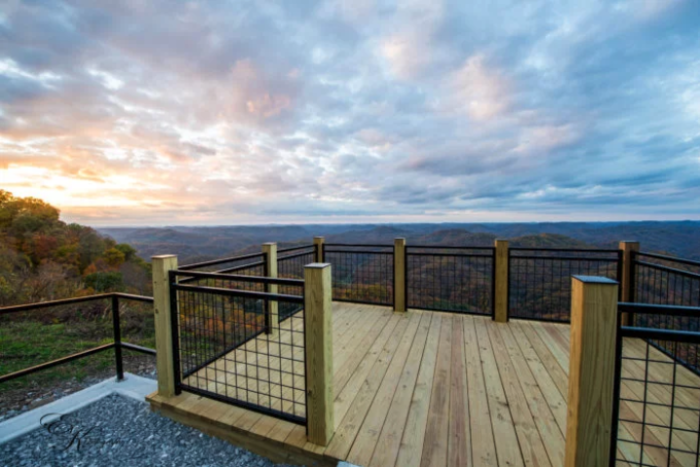 The Pikeville Cut-Through Project moved a mountain to solve many problems this city was facing, and now you can see them firsthand from this easily accessible overlook. The Pikeville Cut-Through Overlook is located along Bob Amos Drive in Pikeville, KY. Learn more about the fascinating story in our previous article here. In many of our state parks, you don't have to move too far from your car before you begin to experience Kentucky's natural beauty. 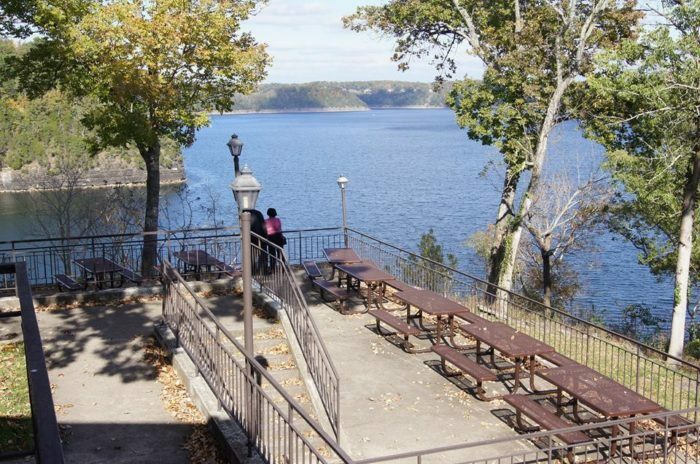 At Lake Cumberland State Resort Park, visit for a day, eat at the lovely restaurant, and hang out on the deck (pictured above), which overlooks the lake with easy-to-access views. Lure Lodge at Lake Cumberland State Resort Park is located at 465 State Park Rd., Jamestown, KY 42629. 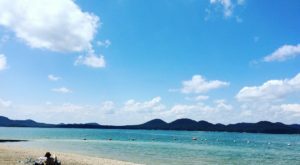 Plan your visit to this beautiful destination with our previous article here. 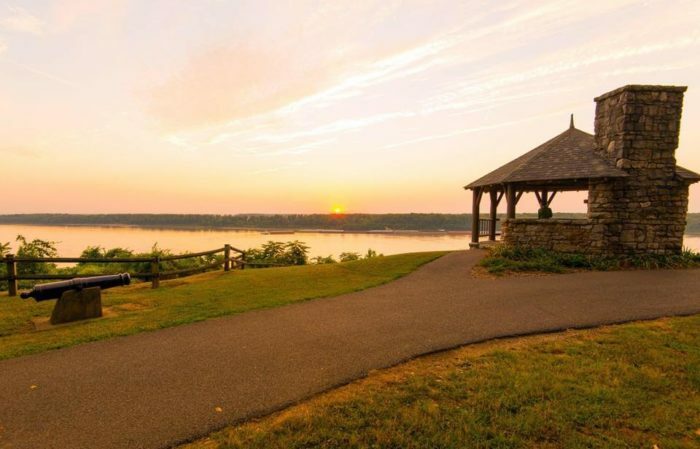 Another state park with ready-to-view scenery can be found at Columbus-Belmont State Park in western Kentucky. Here, you’ll encounter views of the mighty Mississippi River unlike any other. Relax in the gazebo and then check out the history of this fascinating park. Columbus-Belmont State Park is located at 350 Park Rd., Columbus, KY 42032. 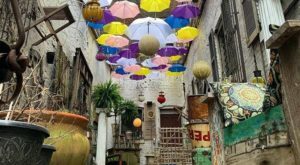 Find out more about this beautiful park in our previous article here. 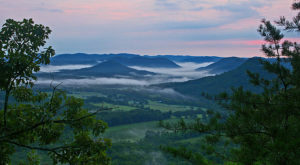 These 7 overlooks show off the natural beauty and lovely scenery of our state, and since they’re easy to access, anyone in Kentucky can experience them. Are any of these overlooks your favorite? Any other easily accessible views we should check out? Please let us know in the comments! 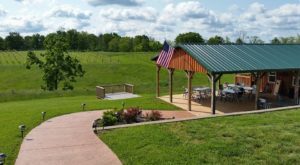 And for a few more breathtaking overlooks in Kentucky that may require a little more effort, check out our previous article here.